A number of courses utilise web-based programs that support learning and teaching. UNSW Moodle is a Learning Management System that supports university learning and teaching by extending the face-to-face learning environment to online learning spaces and by providing virtual classrooms for distance learning courses. Information about technologies and applications that support learning and teaching at UNSW, login to web-based courses, training resources and support is available on the UNSW eLearning website. UNSW TV: The Rural Clinical School UNSW TV channel can be found here. Students and Staff must login with a valid zID to access content. How to use Moodle: Guidance for using Blackboard and Moodle, including some basic tips and training resources, can be found on the UNSW eLearning website. System Requirements: It is important to read the information regarding the System Requirements for UNSW students (including guidelines and policies) available. Technical Programs: If you experience technical difficulties with Moodle contact the UNSW IT Service Centre for assistance or see the UNSW Moodle support page. 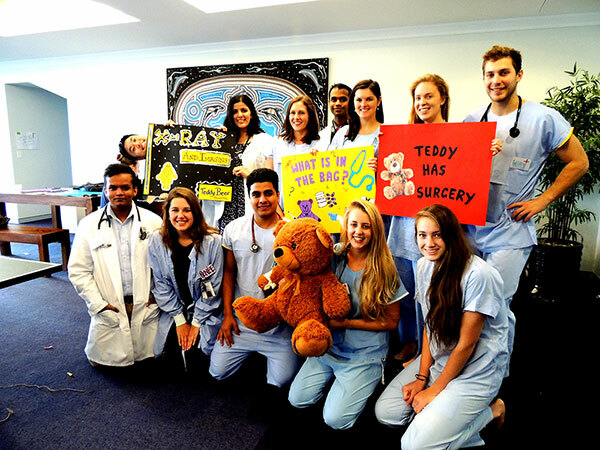 Learn how RCS students raise awareness on important healthcare issues in their communities, like at the Teddy Bear Hospital that inspires kids to learn about medicine and biology.